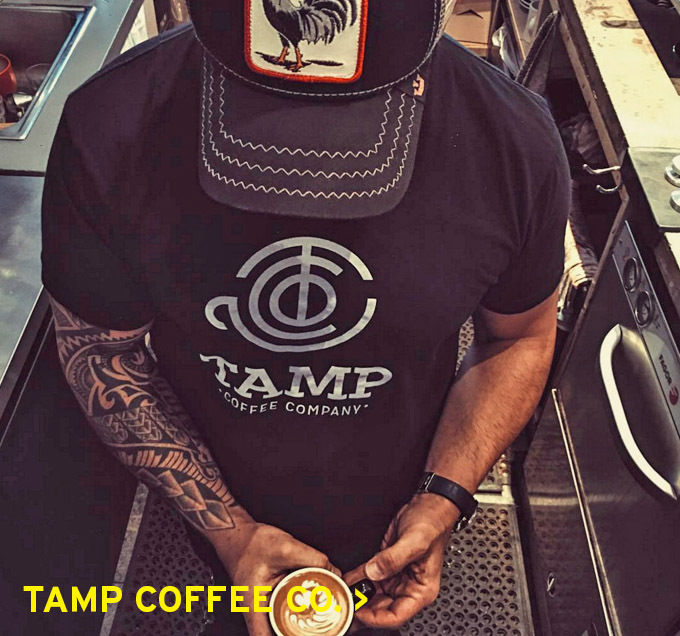 Tamp is an independent Burlington Downtown specialty coffee bar operated by owner and barista Jimmy Zereneh. Jimmy is known for his insatiable passion for coffee, paying attention to the smallest detail in coffee brewing, and a love to educate others about the world of coffee. Tamp supports the coffee community by working closely with micro direct coffee traders and roasters locally as well as globally. Every coffee is cupped and tasted in four different brewing methods and accurate temperatures to ensure the best possible taste. Tamp also bakes in house daily, including gluten free and vegan options. Recently Jimmy began experimenting with cold brew coffee, dedicating the same level of obsessive experimentation and perfectionism to arrive at a product that could stand to represent Tamp outside of the store. Jimmy has begun bottling the product for take-away sale and possibly off-site stockist sales in the future.